December is here, and the cold weather in our part of the world makes me want to stay inside toasty warm and do some sewing, stamping and hot glue projects. I have some new readers that may not have seen previous year’s projects, plus some of the long time readers may want to do a project they didn’t have time for before. So, today, a roundup of ideas for quick projects you can do in a day. There are table runners so easy you can whip up today for dinner tonight, quick handwork projects, fun cards and more. 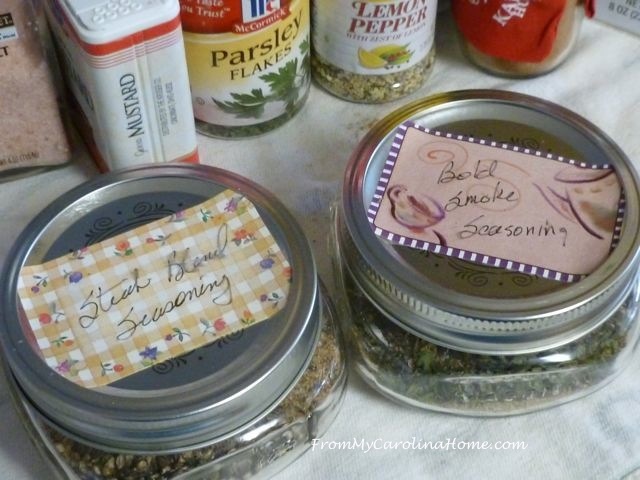 Make a fun gift for a friend or a new home decor project. 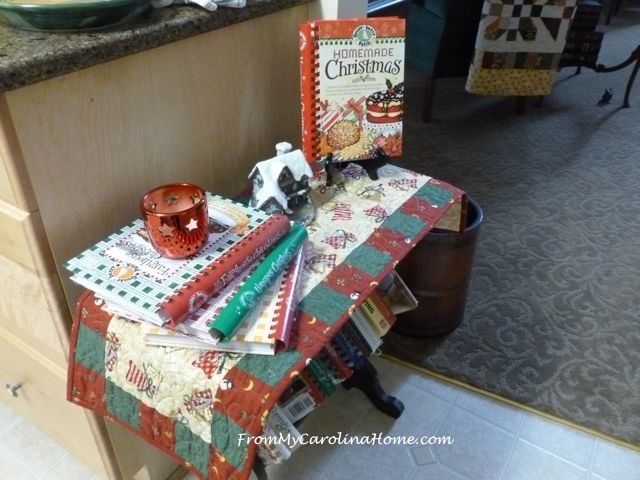 First up, a really quick table topper or candle mat using holiday fabrics – Quick Christmas Project. It is simply all squares set on the diagonal, easy! This super fast runner uses holiday fabrics, just one long panel and some squares for a cute addition to the decorations or a nice hostess gift. I wanted this one for the kitchen with its baking motifs in Christmas colors. Quickie Christmas Project. 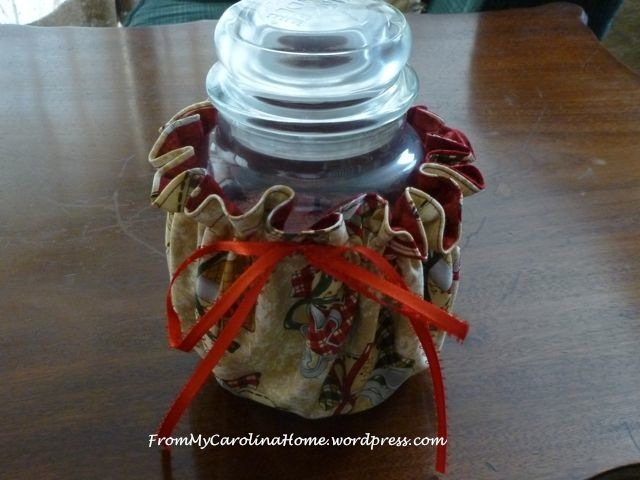 Then, a really fast and simple Candle Wrapper for some holiday decor with the same fabric. 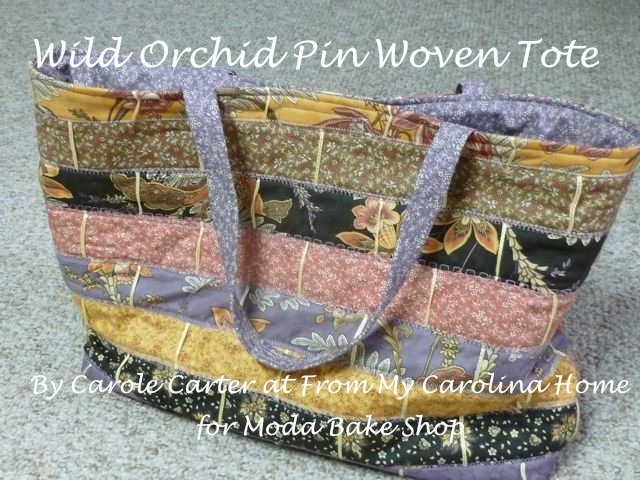 The same idea with pockets filled with thread makes a great gift – Sewing Kit. Do you enjoy wool applique? Here’s my original pattern for a Christmas Penny Rug. 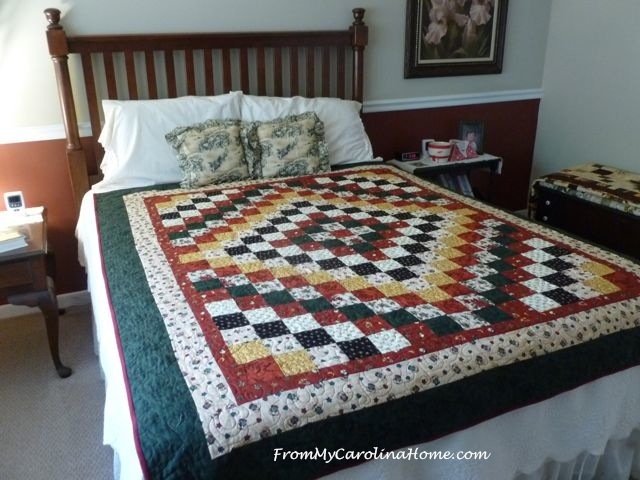 Then, you’ll need a fast quilt for the guest bed with Christmas Trip Around the World Quilt. I finished this one in just days, before my mother in law came for Christmas. 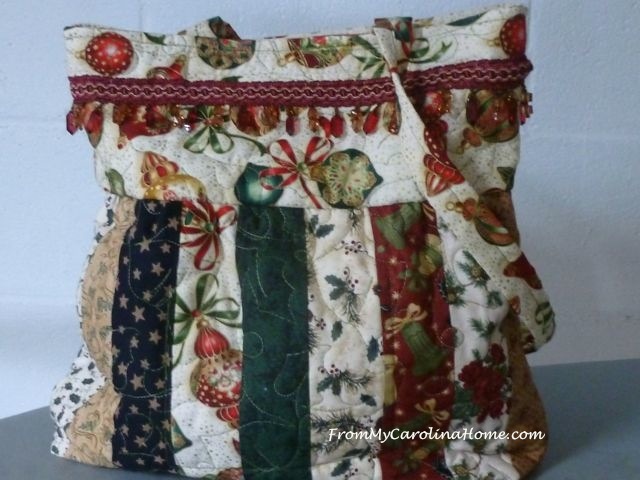 Make a Charleston Bag in Christmas colors! Here’s last year’s Christmas Tablescape, and I have a fun idea for this year coming up. 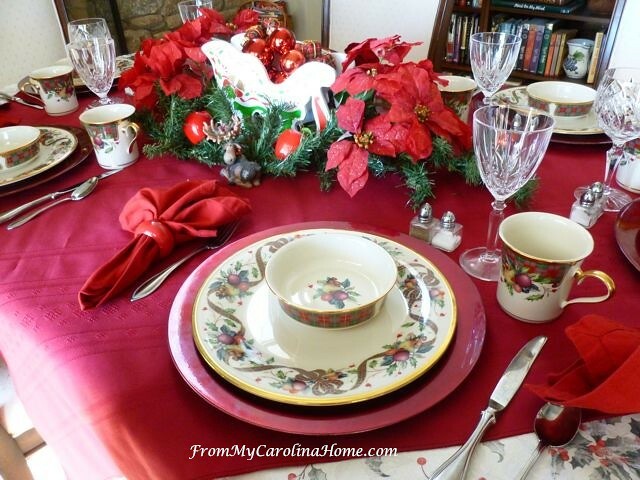 How about a couple of special recipes and another tablescape in Christmas Breakfast. 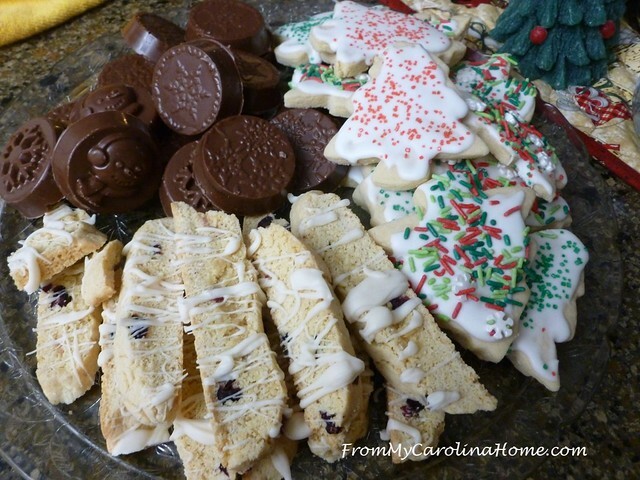 Gifts from the kitchen include cookies and biscotti, great for hostess gifts or that cookie exchange! Make Chocolate Covered Oreos, Christmas Vanilla Sugar Cookies and Cranberry Eggnog Biscotti and there won’t be a crumb left for even a mouse. 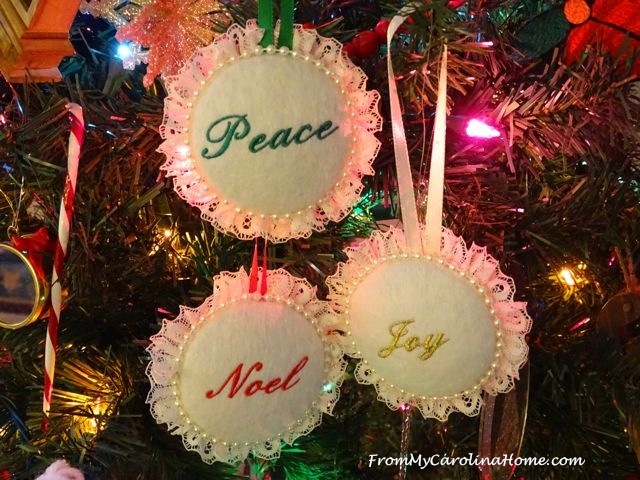 There are lots of ideas for Christmas Ornaments, using handwork frames, button covers, your embroidery machine, or cookie cutters. 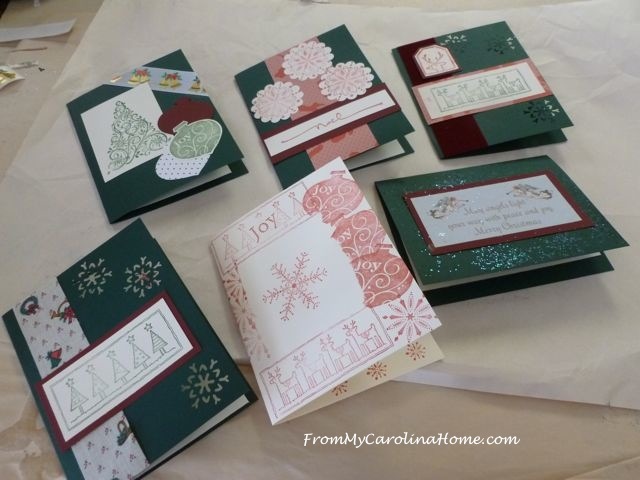 Here are some card ideas from 2015, Stamping Christmas Cards. And save the ones you get for Crafting Projects From Christmas Cards. 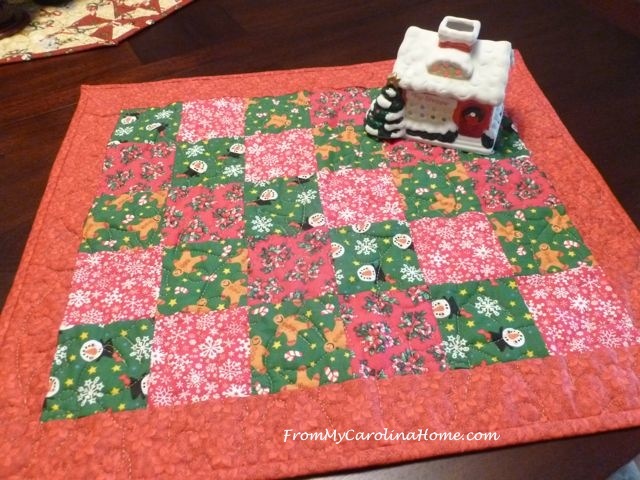 Start with Christmas Quilt Along to make this table runner, or use the blocks in a square for a topper. 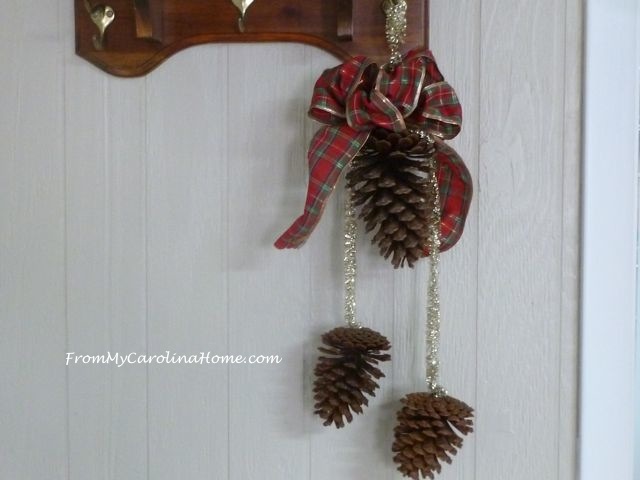 Use some pine cones to make a Holiday Pine Cone Hanger. 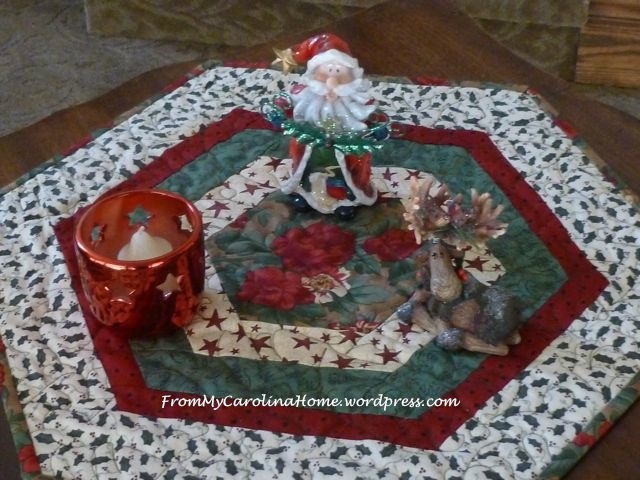 See my Christmas Hexagonal Table Topper free pattern on Craftsy, while you are there, check out my other patterns too. A couple of years ago, I did a 12 Days of Christmas event, with 12 posts all on Christmas ideas! 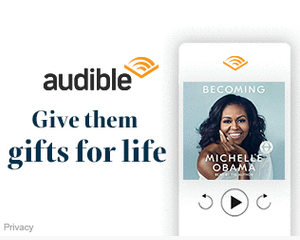 Start with Gifts From the Kitchen. See more ideas for homemade Gifts for Guys. 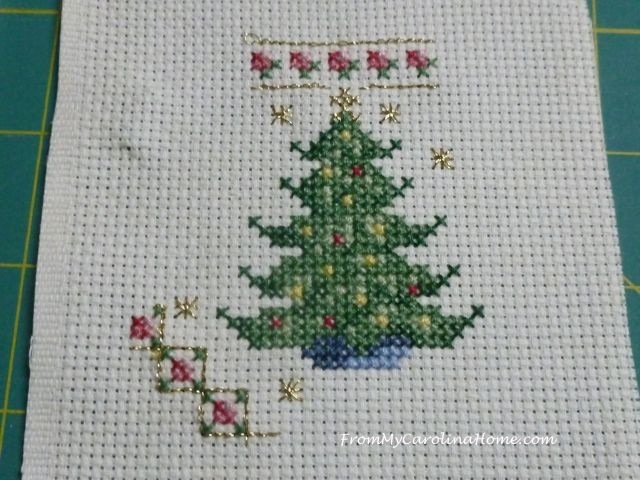 Then see how to turn your unfinished stitchery into ornaments with Christmas Stitching with Ideas for Finishing. 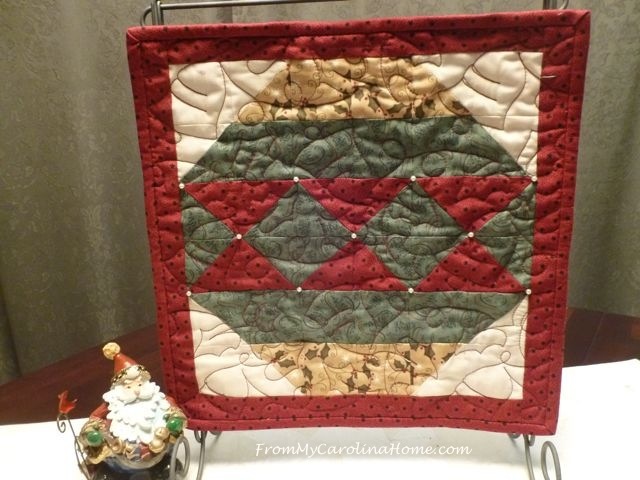 Make a holiday mini quilt with this free pattern – Christmas Mini Quilt. And as you probably know, my head is full of more ideas, so lots of new projects coming up this month. If you are interested in seeing more, click on the categories on the sidebar or see some of my pages at the top of the blog. I was very excited to be chosen as Jolly Jabber’s Longarmer of the Month for November! See that interview HERE. 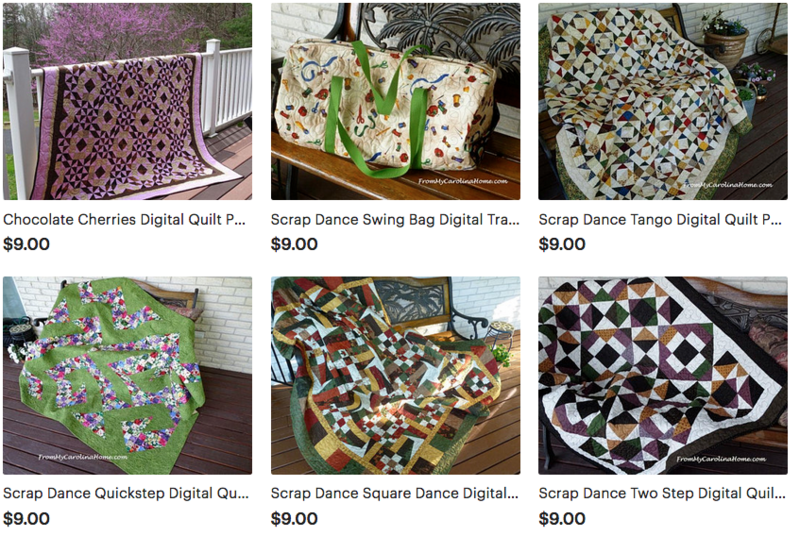 If you are visiting from Crazy Mom Quilt’s last link up, welcome! 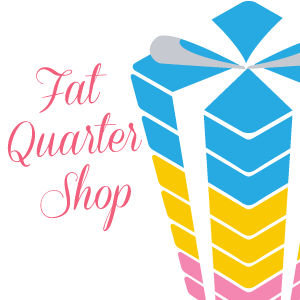 I hope you will take a look around and follow my blog for more fun ideas and new patterns, the Teacup Quilt Along and a new Mystery Quilt Along beginning in January. 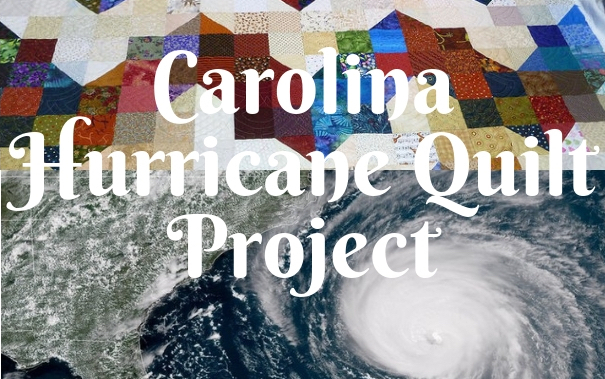 I’m also leading an effort to provide quilts for the victims of the Carolina hurricanes, see that update post HERE. We’ll pick it up again after the holidays. What are you working on for the holidays? PS – Affiliate links are the only ads you’ll see on my blog, and will not be on every post. I’m only interested in making enough money to pay my blogging costs, not to make a living, and I’ll never have animated ads or popup ads! Usually I’ll only tell you about great specials and deals you might be interested in knowing about. Blueprint Holiday Special – 2 FREE Classes + $100 For Supplies! Get two free classes and $100 to spend on supplies when you sign up for a year of Bluprint. Unwrap the gift of creativity. Craftsy 12 Days of Christmas – A New Gift Everyday!! Stock up for the holidays while you still can! Get the best deals on classes, kits, supplies and more. Celebrate 12 Days of Craftsy — now through December 12. Was fun to see you were the Longarmer of the month!! Congratulations Carole! And thanks for all these great ideas! I so want to make that octagonal table topper! Reading your post. Thanks for Sharing. You have so many great ideas! It’s nice to have them all linked up in one post. 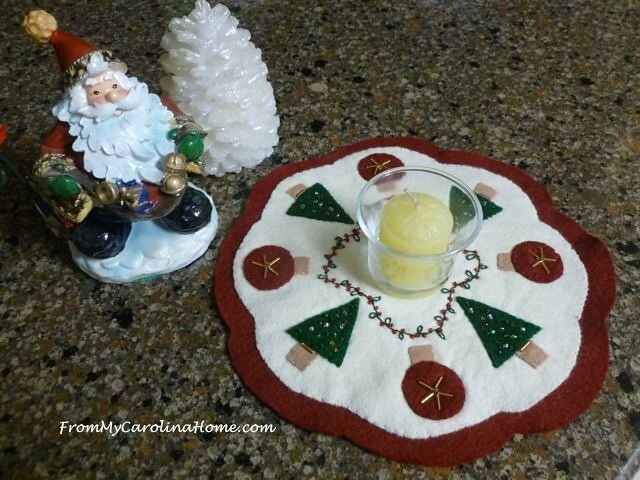 I especially like the cute wool candle mat! 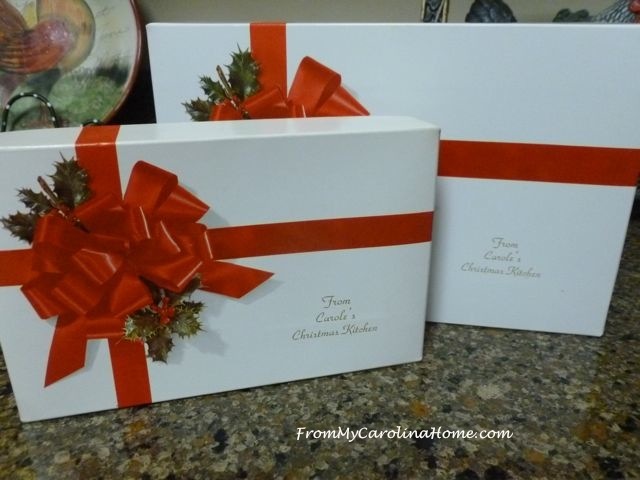 Your home must be a Christmas wonderland! So many clever ideas, and quick too! I actually don’t have any Christmas projects to make this year. At least not any that I recall that I need to make. I’ll probably remember them in a couple of weeks, so I’ll keep this post handy! Great ideas! 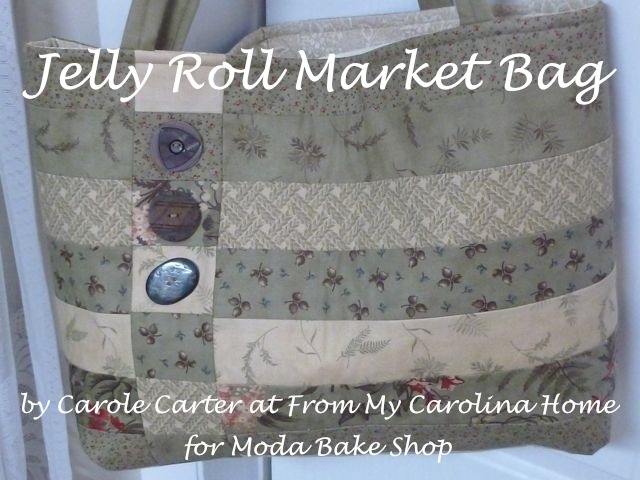 I’m definitely in the holiday gift sewing mood — thanks for sharing! 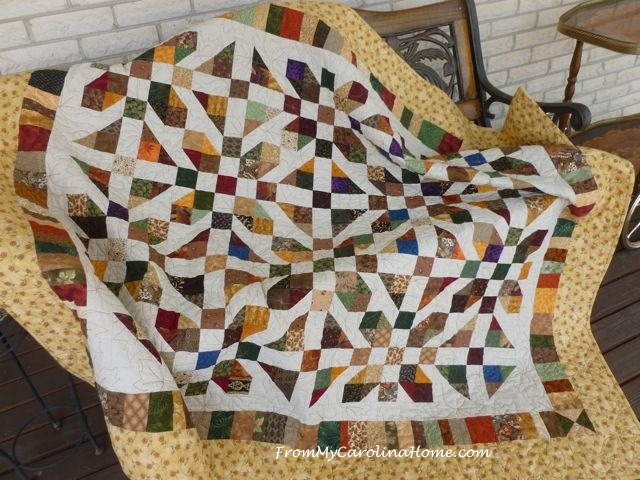 Hello Carole, Your post today with all of the fabulous projects has me wanting to get started on a Trip Around the World quilt. 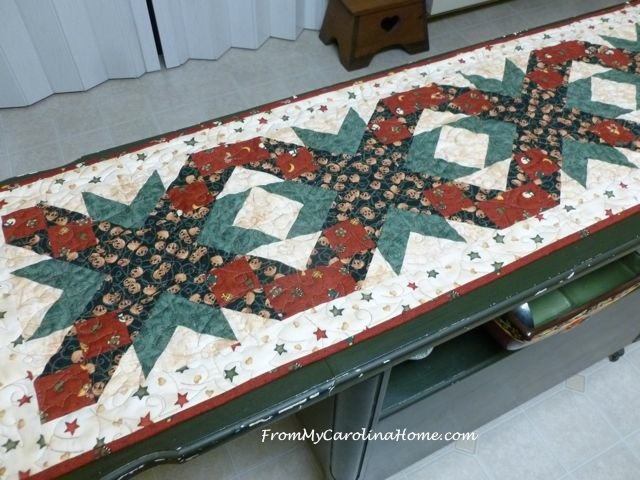 Your Christmas Quilt Along Table Runner is still the favorite table runner I have made and I have always wanted to make another one, maybe that will be another project I try again soon. 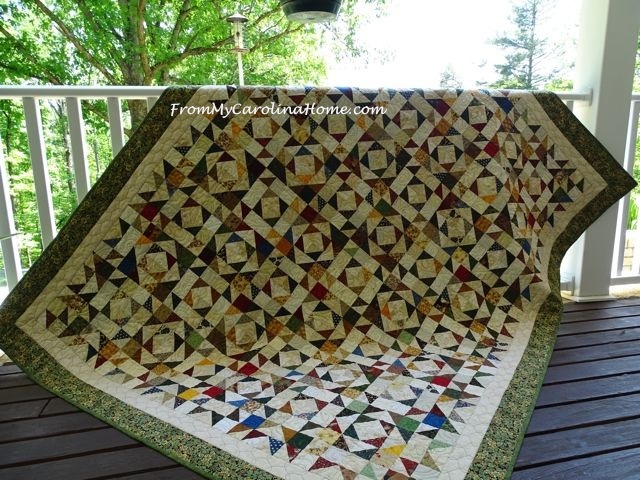 Plus, I have never completed my favorite Christmas Quilt that I made using one of your Mystery Quilts or Quilt Along projects. I need to add a border and get it all prepared to quilt. I should do it today and see if any relatives would like it to help with my major dental money shortages (this whole process is outrageously expensive). LOL. So thank you so much for all of these wonderful Christmas project ideas. Have a great day! ALL of these projects would be fun to do! But for this year, I will make the biscotti and definitely the hexi table topper, Will plan to do my own Christmas in July sewing for some of the bigger projects. Lots of good ideas! Thank you! I was excited to see you as the Jolly Jabber’s Longarmer of the Month!! These projects are wonderful. I must try that biscotti – I love cranberries and eggnog!! Thanks for the good ideas! Carole, Congrats on being longarmer of the month. That is a skill I would love to learn. I technically own 1/2 of a longarm and haven’t seen it in a long, long time – long story. 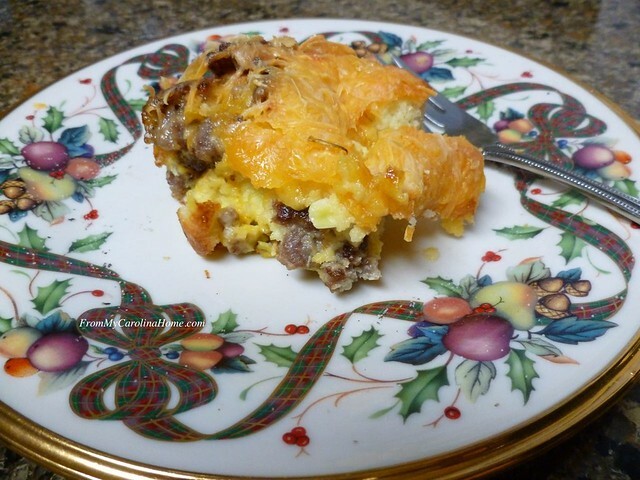 I went on a rabbit trail with your Christmas breakfast casserole. It’s very similar to one that I make. I don’t put onions or mushrooms in mine as my son won’t eat either of those things. I put dry mustard in mine for a tad of flavoring, too. It’s amazing the variations of the casserole. I was amazed at your blueberry turnovers. They look amazing. I had never thought about those. They look wonderful and the glaze makes you that much sweeter for your husband. Your post is very encouraging and I thank you for that. The holidays are difficult for me and some of my closest friends. I lost my second husband over 5 years ago and my friends changed drastically. So, now my closest friends are now widows, too. We do our best to make sure that our friends are all not alone on holidays and we usually go out to eat so that it’s not a burden on anyone to make sure her home is spotless and has the mess afterward. My two closest friends and I have all let our homes become cluttered and messy and so we don’t want to have anyone into our homes. It’s a sign of depression. So thanks for the wonderful ideas. thank you for all the wonderful ideas, but especially your penny mat. It is just beautiful !! What a wonderful roundup, Carole. I will need to come back to this post later and make a list. Congratulations on being named Longarmer for November. It’s well deserved. A great round up of ideas. Lots of ideas for the season.